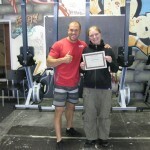 CROSSFIT AMUNDSON TRAINERS: The following Trainers have successfully completed the CrossFit Amundson Internship Program. These Trainers have displayed the education, inspiration and spirit and are entitled to all the rights, privileges and responsibilities consistent with the designation of CrossFit Amundson Trainer. Bart Barker works in Law Enforcement and brings extensive experience and athletic ability to our Coaching Team. A former competitive rugby player and United States Marine, Bart is also a high level Brazalian Jiu Jitsu practitioner. Athletes who attend a training session with Bart always comment on his ability to connect with them individually, and provide an atmosphere of encouragement and compassion. 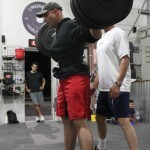 Bart is a CrossFit Level I Trainer and also a CrossFit Kettlebell Trainer. In addition, Bart has several teaching and coaching qualifications from his Military and Law Enforcement professions. Heather Rosenberg has been an athlete her entire life. Having grown up in Santa Cruz, Heather spent much of her time on the beach and working as a Lifeguard for the City of Santa Cruz. After attending the University of San Francisco, and obtaining her BA in Communication Studies, she moved back to Santa Cruz and attended Paramedic School. Heather has worked in Public Safety as an Ocean Lifeguard and Firefighter for over 10 years. She understands not only about the physical challenges it takes to do certain jobs, but also the physical challenges of everyday life. She is a CrossFit Level 1 Coach and enjoys taking people through workouts they never thought they would be able to do! Heather also works for CrossFit, Inc., on the CrossFit Affiliate Team. Jenna Langseth – Jenna grew up playing soccer for over 14 year and was a Track and Field Athlete at California High School in San Ramon, CA. Jenna set numerous school records and earned First Team All League Honors in 2007. Jenna was a Division 1 Track and Field (Pole Vault) Athlete at California State University Sacramento where she graduated with a Degree in Kinesiology with an emphasis in Therapeutic Exercise and Rehabilitation. Jenna brings a wealth of passion, drive, credibility and knowledge to the CrossFit Amundson Team. David Millar – David was introduced to CrossFit in 2005 while playing NCAA Division 1 soccer at the University of California at Irvine. His strength and conditioning coaches used CrossFit workouts during the off-season to improve fitness. After his soccer career finished in 2008, he dove into CrossFit by developing himself as both an Athlete and Coach. David enjoys working with Athletes of all skill sets to help achieve their goals. He is a certified CrossFit Level 1 Trainer and has attended Specialty Seminars in Olympic lifting, endurance, nutrition, goal setting self myofascial release. He is an experienced CrossFit competitor and has performed well on multiple occasions including a top ten finish at the 2009 CrossFit Games. Lina began her CrossFit training in 2009 in Olso, Norway. Soon after, she began traveling internationally in an effort to obtain multiple CrossFit Certifications. Her travels brought her to Miami, Florida, where she met Greg Amundson at a CrossFit Goal Setting Trainer Course. came fast friends. Greg immediately saw in Lina immense potential as a Coach and Leader in the CrossFit community. Subsequent to an internship program, Lina became a Certified CrossFit Amundson Coach. Lina is currently the owner and head trainer at Black Box Gym Olso in Olso, Norway. In addition to CrossFit, Lina is also a highly trained Athlete in Krav Maga and Kettlebells. Lina will be traveling to Santa Cruz in the summer of 2013 to teach at CrossFit Amundson Santa Cruz. Shiela started her CrossFit journey back in 2009, training in Australia with renowed coach Matt Swift at CrossFit Brisbane. From there, she ventured off to the United States for two years where she spent her time training at Conviction CrossFit in Colorado and visiting numerous boxes all over the country, making an effort to network with other CrossFitters and taking part in numerous CrossFit events. Shiela has had the opportunity to train amongst and be mentored by some of the most highly respected CrossFitters, including Greg Amundson. She has made a positive name for herself within the CrossFit community and has been dubbed as a “fitspirational coach” due to constantly inspiring and motivating others to reach their goals both physically and mentally. Shiela has obtained the Level 1 CrossFit Certification and CrossFit Gymnastics Certification and will be completing the CrossFit Kids, Olympic Lifting and Kettlebell Certifications. Shiela has the ultimate goal of becoming the best CrossFit Kids Coach around, with high hopes of moving to Santa Cruz permanently in the near future. She currently coaches and trains at CrossFit Equipped in Brisbane, Australia. 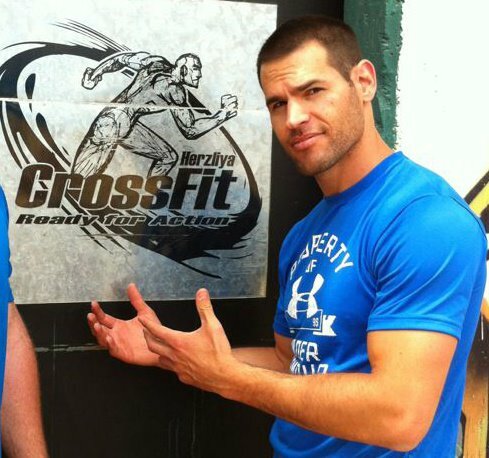 Omry Peled is the Owner and Head Trainer of CrossFit Herzilya and was the first CrossFit Affiliate in Israel. Omry is a Black Belt and served in the Israeli Special Forces for three years. Trainer at CrossFit Imperial Valley, CA. Brian Burgun loves all sports and is passionate about CrossFit, Football, snowboarding,motorcycles and riding horses.He first began to CrossFit in August of 2009 in the Amundson’s garage and became CrossFit Level I Certified in May of 2010. He sees CrossFit as a means to longevity, health and fitness and has inspired many friends and acquaintances to start training at CrossFit Amundson. Not to mention his whole family who continues to attend his classes regularly. 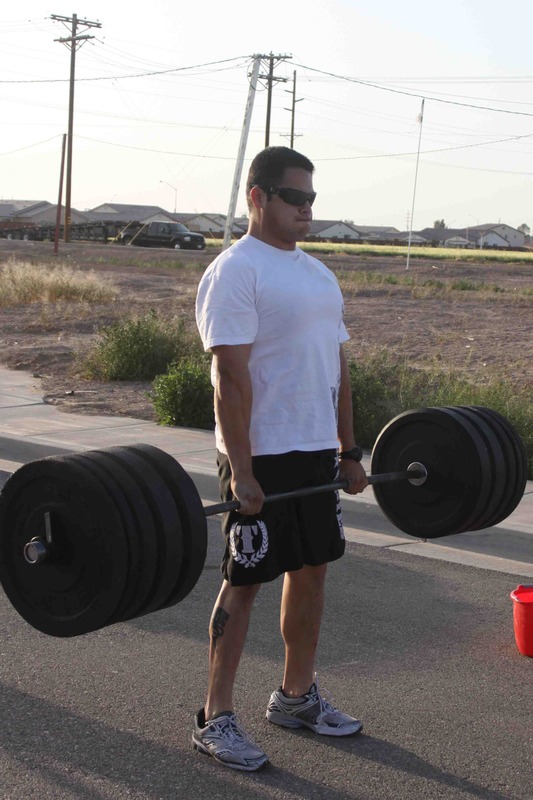 His favorite WOD is “Cindy” and his long term goal is to bring CrossFit to the people of the Imperial Valley and to help them find the same positive physical and mental transformations that he saw in himself. Brian is an excellent coach who leads by example and encourages a challenging yet fun class environment. In the summer of 2009, I was fortunate enough to observe Greg Amundson complete a workout at the Navy Base pool in El Centro, CA. The heart and passion Greg put into his workout was obvious and inspiring. He extended an invitation to me to workout at his garage that week and that session ultimately redefined my mindset of what fitness is. A diverse background in team sports such as football, soccer, basketball and rugby exposed me throughout my life to various methods of working out. I have also had training in Karate specifically Tae Kwan Do, Boxing, Wrestling, and Jiu Jit-Su. I like to skateboard, snowboard, wakeboard and surf as well, when I can. However, nothing has challenged my mind and body quite like CrossFit. With each class I attended at the Amundson’s, I quickly became eager to further my knowledge and within a few months obtained my CrossFit Level I Certificate. Recently attending the CrossFit Mobility and Recovery Course and the Olympic Lifting Course gave me a taste of what the world of CrossFit has to offer. I look forward to attending the CrossFit Football Course in February, and don’t plan on stopping there! As a CrossFit athlete, I have seen my fitness level increase drastically. I pour all my energy into every workout and know when I’m finished, that I’m finished! I strive for excellence in each and every workout and carry this mindset into every aspect of my life. 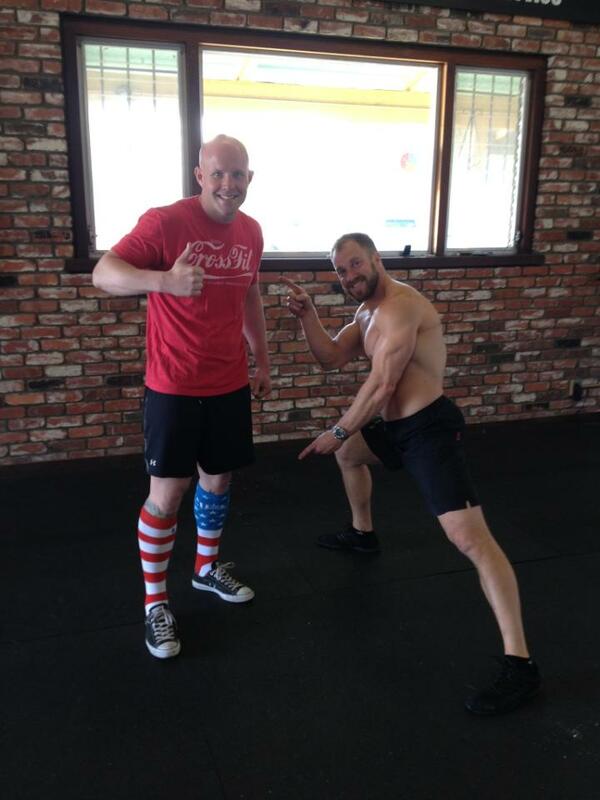 Greg Amundson stated, “CrossFit Affiliate Coaches have an unique ability to change the world. The best way to do this is by setting a positive example for their athletes to follow – both inside and outside the CrossFit box.” As a CrossFit Amundson coach, I intend to share my knowledge and passion for CrossFit. I find it rewarding to help athletes meet goals, surpass feats of strength they thought were unattainable, and break PR’s. I enjoy working with athletes of all abilities and look forward to applying my skills to help them achieve their fitness goals. Liz was introduced to CrossFit in the summer of 2009. Although she had little sports experience she now proudly calls herself an athlete. Liz appreciates CrossFit because each time she works out, she challenges herself both mentally and physically and is rewarded with the accomplishment of personal success. The strength and health she has gained and the community of friends she has adopted are simply a way of life for her now. In July of 2010, Liz became a CrossFit L1 Trainer and in September of that same year, she became a CrossFit Kids Trainer. Liz enjoys watching the development of the athletes she coaches. She feels pride in an athlete’s progress in better form, athletic ability and the accomplishment of personal records. She especially enjoys teaching kids the values and lessons that are at the heart of CrossFit training. Liz’s longterm goal is to make CrossFit accessible to anyone who wants to try it and who needs the motivation and encouragement of someone who believes in them. When not CrossFitting, Liz works in Law Enforcement. She is married and has three kids, ages 14, 11 and 5. Robert Prince has been an internationally certified fitness coach for over 11 years. Robert’s passion for fitness began in his youth with the goal to improve his capacity in Football and has evolved since with increased exposure. Robert has competed in Football, Baseball, Soccer, and various forms of motor sports. Robert was also a United States Navy Corpsman (Medic) stationed with the First Marine Division for over five years where his focus was Combat Medicine. After being honorably discharged from service, he decided to focus on personal fitness coaching as a profession. After many years as a successful fitness coach, Robert felt it was time for a change in his training philosophy and method. He had learned about CrossFit from a client and was intrigued. After viewing the CrossFit website Robert completed the Workout of the Day which happened to be “Angie.” As he lay on the ground gasping for air after the workout, he realized this was what he was looking for. He hasn’t looked back since. Robert has since become a member of CrossFit Amundson and has added to his previous experience within the fitness community. 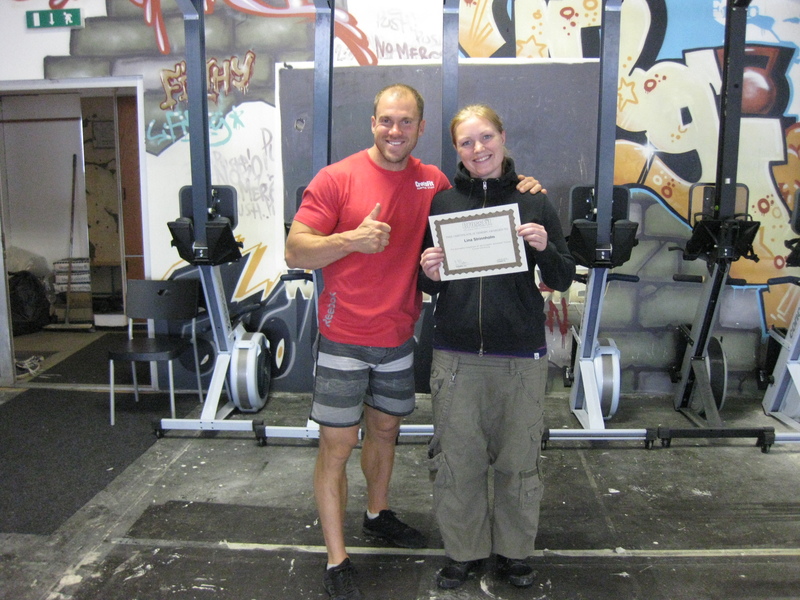 Robert soon received his CrossFit Level 1 Trainer Certificate. Robert’s passion for fitness and level of experience within the fitness and sport communities coupled with a medical background have allowed him to help members of Crossfit Amundson as well as his personal clients to achieve their fitness goals. Robert believes anyone can better themselves through fitness no matter what obstacles there may be. All that is necessary is the desire to improve and an intelligent approach to attaining improvement. Leeaire Brown joined CrossFit Amundson as an athlete in early 2010 when classes were still being held in Greg Amundson’s Garage. Lee, as he is known around the gym, played Football, Basketball and ran Track in High School. While he attended the College of New Jersey, he played four years of college football. He put his athletic experience to work in El Centro, CA where he Coached Football at Southwest High School for three years. 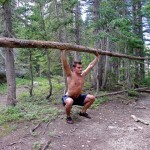 He became a CrossFit L1 Trainer in September of 2011. Earlier that same year, he also attended the CrossFit Endurance certification. 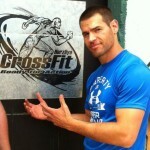 Lee enjoys how he is continually challenged by CrossFit and the peers he works out with. “Before each WOD I experience the same nervousness I did before each football game and I love it! The camaraderie, the competitiveness, and the energy created inside a CrossFit box are indescribable.” Lee’s favorite CrossFit movement is the Handstand Push-Up. I first heard about CrossFit through a friend in early 2010. “You need to do CrossFit, it’s amazing,” he told me. I did some online research and concluded that while the workouts were impressively grueling, they appeared to required good form and correct technique in areas of athletics that I was unfamiliar with. After refusing to go, I started seeing changes in my friend that impressed me. Not only did he get stronger, more fit and loose weight, I could also see that he genuinely enjoyed and looked forward to attending his CrossFit class. He motivated me and I finally gave in and journeyed to the garage where CrossFit Amundson was holding their classes at the time. Immediately I felt welcomed. We stretched as a group, almost like a team. The class was competitive yet friendly, full of high fives, positive vibes, everyone sweating and feeling each others pain. It was something I hadn’t felt in a long time. I was hooked. Being a former collegiate athlete I had never experienced a workout quite as intense as CrossFit. 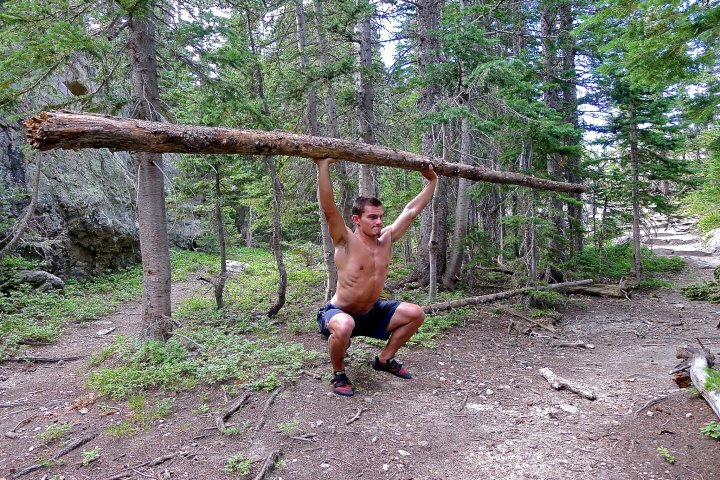 I took the Fundamentals class and I knew that CrossFit was going to change my life. And, indeed, it has and is continuing to do so. Today, I most enjoy coaching people who don’t yet realize that they are amazing athletes. It is rewarding to bring out the best in people. Something like helping a client complete a partial squat after knee surgery is an amazing accomplishment that is every bit as gratifying for me as it is for them. Once a new athlete walks into the gym, they’ve already made a huge gain in their health and fitness simply by being there willing to try CrossFit. It is then my job to help them become the athlete I know they can be. PJ Enders was born and raised in Brawley. She has her Associates degree in general studies. She is a CrossFit L1 Trainer, a lifeguard Instructor and a Water Safety Instructor. She played volleyball and softball in High School and at the Junior College level. Her favorite workouts include wall balls and anything heavy!